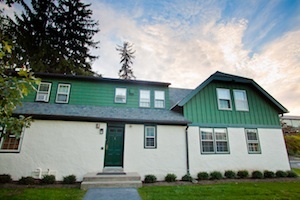 The Ira de Augustine Reid House/Black Cultural Center is a residential space for students invested in the histories, legacies, and traditions of the African diaspora as well as a cultural center for the campus community. The six residents work collaboratively with the Ira Reid Advisory Council as well as with the Office of Multicultural Affairs (OMA) to articulate and sustain programming that extends the legacy of Ira de Augustine Reid, Haverford's first tenured African American faculty member. The first floor of the Ira de A. Reid House/BCC functions as a common space for the community: open for student meetings, social gatherings, and cultural events with with various members of the community. Residents work collectively to establish regular programming such as weekly "open house" hours for studying, socials for prospective students, and dinners with faculty members as well as campus-wide events. The Multicultural Center (MCC) is a space at Haverford College located in Stokes 106, open to everyone who wishes to explore and expand the notion of diversity, cultural pluralism, and multiculturalism. 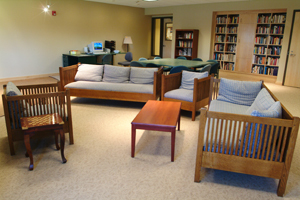 It is a space where students come to discuss, rap, chill, "shoot the breeze," view videos, engage in peer learning tutorials/classes, take part in board games, arts and crafts, and relax. Additionally, the MCC is often used for art exhibits, workshops, dinners for campus guests, alumni events, guest speakers and lectures, classes, receptions, film showings, and other community sponsored events.